New figures have shown that teenage pregnancy rates in the East Midlands are now the lowest since records began - but East Lindsey and Boston still have the highest levels in the region, with almost 30 pregnancies per 1,000 female teenagers between the ages of 15-17. Figures released today (Wednesday) by the Office for National Statistics show that, in 2016, teenage pregnancy rates in the East Midlands were the lowest since records began in 1969. Conception rates for women aged 15-17 in the East Midlands were 19.4 per 1,000 – a four per cent fall since 2015, and a 60 per cent drop since 1998. Boston had the highest rate, at 29.8 per 1,000, followed by East Lindsey with 28.7 per 1,000. 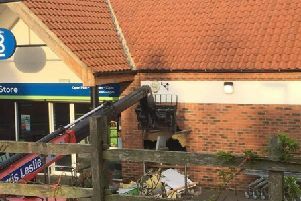 Elsewhere in Lincolnshire, the figures are: West Lindsey (16.9), Lincoln (26.7), North Kesteven (11.8), South Kesteven (17.8) and South Holland (16.7). National sexual health charity, the FPA (Family Planning Association) has raised concerns that these inequalities between different areas could widen even further as a result of cuts to sexual health services, and that the continued fall in teenage pregnancy rates could reverse as a result of these cuts. Natika H Halil, Chief Executive of the FPA, said:“This dramatic fall in teenage pregnancy rates in the East Midlands is thanks to a great deal of hard work from health and education professionals, along with the investment in services that we saw during the Teenage Pregnancy Strategy that ended in 2010. “That’s why it’s so concerning that local authorities in the East Midlands are facing such massive cuts to their public health budget, which can then lead to sexual health services closing, or have their staff and funding reduced. “These cuts could mean that we see teenage pregnancy rates start to rise again in the coming years. “It’s also concerning to see large variations in teenage pregnancy rates between different areas. Teenage pregnancy can be a result of many different factors, including deprivation, but we know it can be reduced by investing the right time, resources and expertise into services and education. This investment not only saves money in the long term, but also helps prevent the range of negative long-term educational, health and social outcomes that young parents and their children are more likely to experience. “But it’s also important to remember that whether or not young people are sexually active, or choose to become parents, they should never face stigma or judgement. Pregnancy and parenthood can be a positive life choice for young people, and young parents deserve to get the support they need to make informed choices about their lives.